Synopsis: An ambitious but troubled movie director tries his best to fulfill his dream, despite his lack of support. Did You Know? Displeased with Vincent D’Onofrio, Tim Burton had his voice dubbed by Maurice LaMarche. Quotables: BELA LUGOSI: This is the most uncomfortable coffin I’ve ever been in. 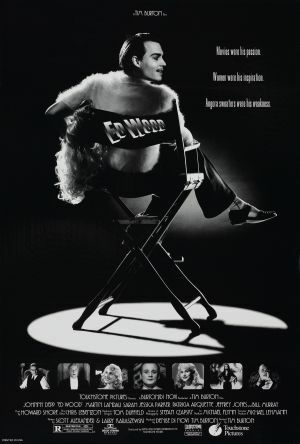 This very Tim Burton-y take on the inaccurate perception and abominable treatment of LGBTQIA people in the 1950’s pays homage to the work of Edward D. Wood Jr., lauded as Hollywood’s worst director, as he struggles to gain acceptance as a cross-dresser as well as funding for his bad B movies. The film is eccentric and over-the-top in true Tim Burton fashion, and I liked it a lot. Martin Landau’s performance was both delightful and tragic, well deserving of his Oscar.